In 2006, the tweet was devised by Twitter’s founder, Jack Dorsey, as a way for friends to keep tabs on each other using brief status updates—like public text messages. Since then, it has become a staple of modern communication. Though we continue to use Twitter as Dorsey first intended, it has also expanded, filling roles far beyond the scope of its original purpose. Tweeting has enabled the discovery of rising stars and the cultivation of existing celebrity personas. It has provided a platform for public debate far more inviting than that of Facebook, where privacy policies make communication with those outside of one’s social circle more difficult. It has given birth to thousands of #socialmediacampaigns. Whether you love Trump or loathe him–whether you read his daily tweets for entertainment, view them as serious threats of federally-authorized sexism, racism, and xenophobia, or take them as gospel–it’s hard to deny that a president using social media to communicate world-shaking policy decisions represents a new era in American rhetoric. This tweet, concerning international relations and nuclear power, had several reasonable interpretations, according to nuclear weapons policy experts and political scientists. In a recent article, The New York Times parsed out potential meanings, drawing from language typically used in nuclear policy. According to the Times, the tweet could call for upgraded nuclear forces, but not an enormous increase in American nuclear strength. Following this interpretation, Trump’s tweet promised to modernize America’s nuclear forces while still maintaining capabilities relative to other international powers, unless and until all countries are ready to complete disarm. In a second interpretation, Trump’s tweet could vow continuous expansion of the number and strength of America’s nuclear forces as a strategy to push other world powers to disarm. These are the extremes of a spectrum of interpretation—as the Times puts it, the “Obama” and “North Korea” ends on a scale of intensity regarding nuclear power. It’s likely that Trump’s intended meaning falls somewhere between the moderate and severe. In the hours and days following this tweet, news outlets published hundreds of articles speculating about its meaning. Though it is of course vital that the public understand federal nuclear plans, media sources that focused entirely on the content of the tweet miss the point. Instead of only asking ourselves what Trump means by his outburst, we also must ask what his outbursts mean for America’s rhetorical future. For the past two centuries, American presidents have been fostering a conversation between the electorate and the executive branch. Though some of them have done a better job than others—John Adams made speaking against his policies illegal—the nature of communication has remained constant. Namely, messages to the public have been delivered via spoken word or formal writing. In the past, we have scoured campaign speeches and pre-election debates for hints about candidates’ characters. Now, their thoughts on every issue from immigration policy to Meryl Streep are available with the tap of a finger. While in the past we’ve assessed candidates based on their in-person charisma, eloquence, and the clarity with which they expressed proposed policies, this election season saw a greater emphasis on celebrity, perceived authenticity, and connectedness. As many cried foul over the endorsement of candidates by mainstream media, as well as the spread of fake news about both candidates, voters turned increasingly to Trump and Clinton’s various social media accounts. 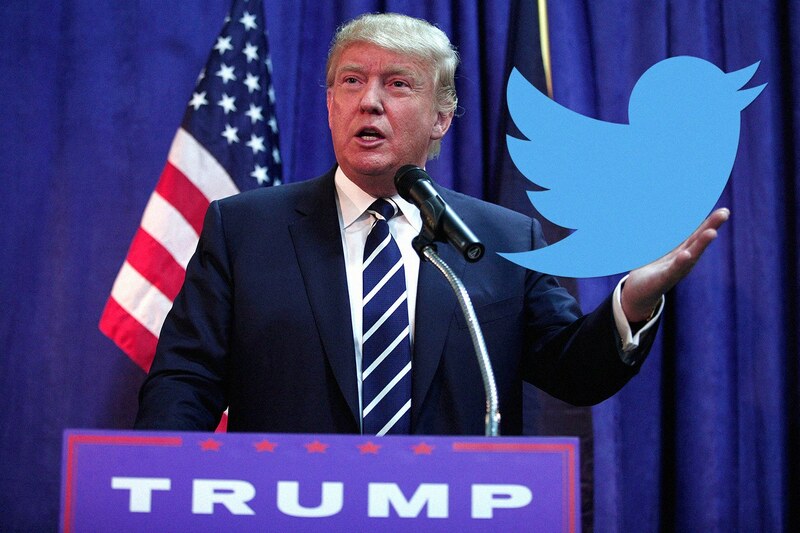 While trusted aides were reportedly behind Clinton’s tweets, updates, and posts, Trump reportedly insists on creating all social media content himself. In an election season filled with accusations of pandering, misconduct, and deceit, a candidate who sent his minute-to-minute thoughts to millions of followers must have seemed refreshingly authentic to many voters. Formal rhetoric will never become obsolete in American politics. That said, it’s hard to deny that the societal transition towards faster, shorter, and more casual communication has affected even national elections. Once we acknowledge this shift, it is easy to imagine another, related change. If large numbers of social media followers qualify one for the presidency, we will see fewer candidates who have graduated from law school, earned Rhodes scholarships, or spent decades in public service and more candidates from reality television shows. My advice? Start marathoning Lifetime reruns, and keep an eye out for budding candidates for Commander in Chief. Maybe in 2020, we’ll score a Project Runway judge!